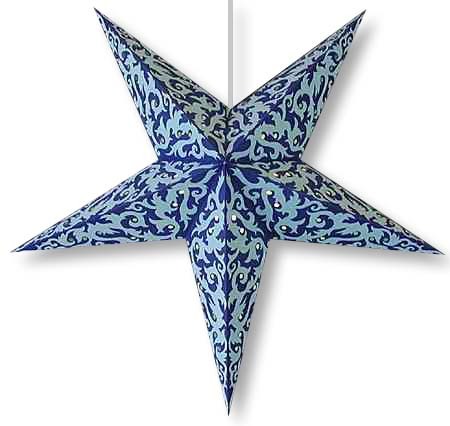 Tribal Print Star Lantern. Dark blue background with light blue swirling tribal-style designs. Measures 24" across when assembled. Includes complete assembly instructions. 12' electric cord with on/off switch optional for a little more. 40 watt lightbulb not included. Handmade in India.